@Buco whenever I try to speak with authority, a real authority reminds me who I am. Oh you do fine Paul. And it was still fun to see the prototype, it looks fantastic. Yep, the finish is what they call vintage-nitro. I describe it as a "semi-matte". Slightly glossy, it has a luster but not too shiny. The headstock logo is painted on at the moment but they are working on engraving it at the moment. The darker of the two you see above has Eastman's "classic" finish that you see on some of the mandolins and arch tops. 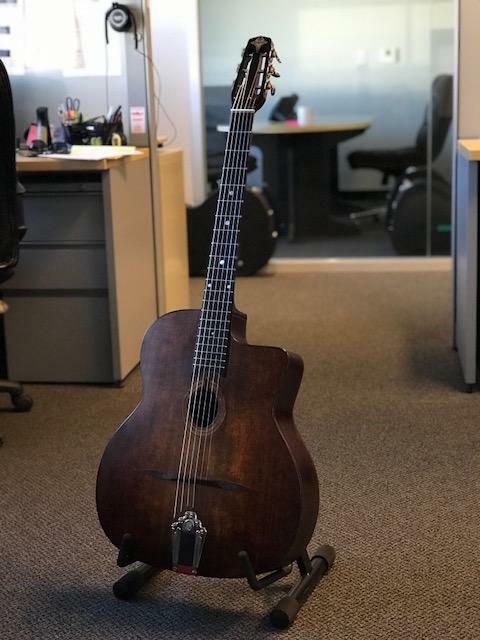 Some people will call it antique, but the guitar itself has not been through a relic process like the other vintage varnish models you see in the Eastman lineup. 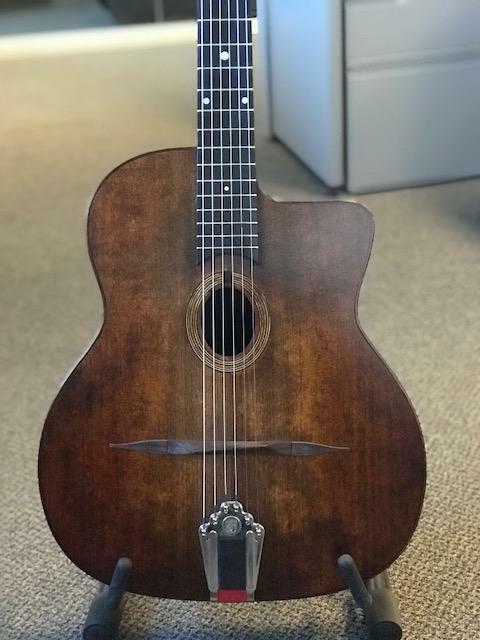 Well, the dark classic-finish model looks great to me. 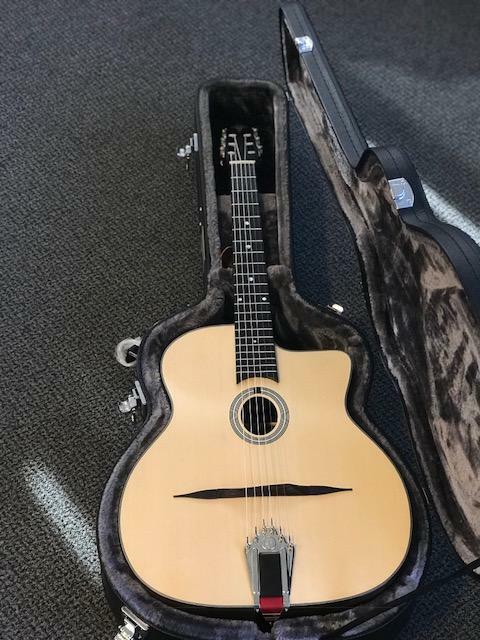 I have one of their 805CE archtops in the violin-type finish which is a thing of beauty IMO (a little subject to chipping though if not handled with extra care). I was always lusting after Eastman's violin style varnish on their archtops. To get it now on a GJ guitar is exciting to say the least! Looks quite nice. DM1's look is very reminiscent of the Nomade. 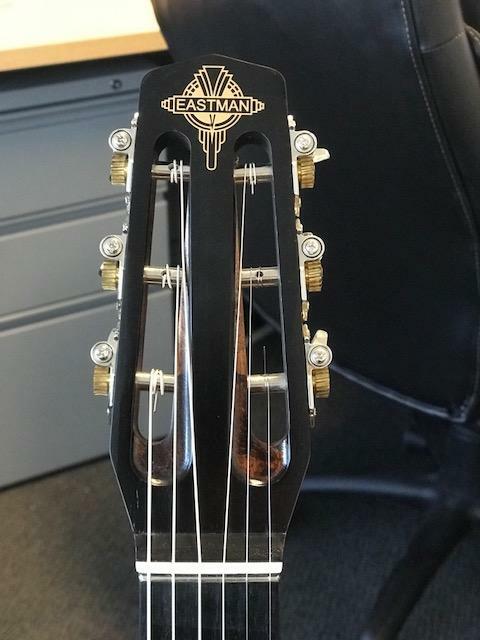 It looks promising, but I hope they spend a bit more time on the headstock logo. Michael are you planning to carry these? @Michael - have you played/heard them yet? 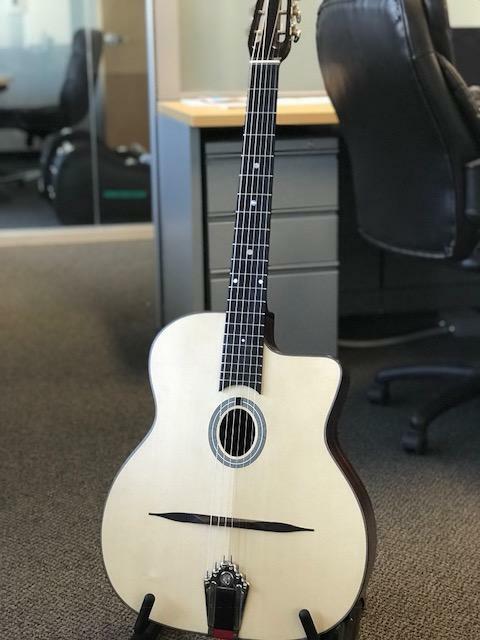 That price point is wise, there's kind of a gap in the market there between entry-level instrument (Cigano) and hand made European guitars. - Interesting departure from tradition with that double dot at 12th position. I don't mind it though. Proof is in the pudding, am interested to play one and see how they sound.